Jo Ann Billings Jenkins, beloved daughter, wife, mother, and grandmother to greyhounds, was born in Oklahoma City, Oklahoma, on August 29, 1935, the beautiful daughter of the late Harry Price and Mary Catherine Billings. The family moved to Arizona when she was a baby, but Jo Ann grew up in Pennington Gap, Virginia. She graduated from Virginia Intermont College in Bristol, Virginia, and Georgetown College in Georgetown, Kentucky, and completed graduate work at the University of Kentucky. 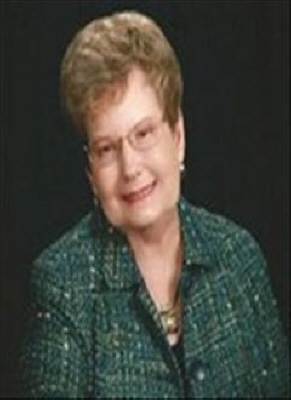 Jo Ann was a devout member of First Baptist Church, where she was a Sunday school teacher, pianist, clerk, deacon, and preschool choir director. She absolutely adored the Golden Circle Sunday School Class. Jo Ann belonged to numerous professional and music sororities and associations. She was a member of East Frankfort Kiwanis Club and served a term as its President. Ms. Jenkins was a music teacher in the Georgetown City School system for 3 years and the Franklin County Public School system for over 27 years. She loved all of her students and felt that they were a big part of her life! She enjoyed seeing them through the years and was very proud of them. She quoted Nathaniel Hawthorne in her classes (Happiness is a butterfly, which when pursued, is always just beyond your grasp, but which, if you will sit down quietly, may alight upon you.) Her choirs were among the best in the state. Jo Ann won piano and speech contests, performed in and directed plays, was a cheerleader, and taught music and drama to Head Start teachers at Kentucky State University, the University of Louisville, and Northern Kentucky University. She taught music and drama at a camp in Colorado. After retiring from teaching, Jo Ann worked full-time at Farmers Bank for many years and felt that it was the ONLY bank in town. She also worked part-time at the Legislative Research Commission for 10 years, finally retiring from all work in 2011. She had many friends with whom she enjoyed working. Jo Ann loved life and wanted us to celebrate at this time, not mourn. She was preceded in passing by her parents; her beloved husband of over 50 years, Melville; and her brother, Robert (Bob) Billings and his wife, Mary. She is survived by her son, Robert and his husband, Randy, both whom she loved very much (Lexington); her brother, Harry Glenn Billings and his wife, Melba (Woodward, OK); her nephew, Glenn S. Billings and his wife, Linda (Woodward, OK); her niece, Melina Clark and her husband, Lance (Woodward, OK); her nephew, Mike Billings and his wife, Janet (Tulsa, OK); her nephew, David Billings (Oklahoma City, OK); her niece, Liz Waggoner, (Oklahoma City, OK); and her niece, Janie Billings and her husband, Bill Frank (Yucca Valley, CA); two nephews-in-law, Gerald Parker (Lexington) and Jack Hamilton (Sacramento, CA); and many other relatives and very dear friends. Her Potluck Group of retired teachers and friends were also a big part of her family, sticking together and supporting each other through fun times, family tragedies, and all events in between. Mom, you have given so much and asked for so little in return. Thank you for your support, for your ears, for your counsel, and for your love. Farewell, beautiful woman. You were simply magnificent. A Celebration of Life will be held at Harrod Brothers Funeral Home at 1:00 p.m. on Friday, February 1, 2019, with Dr. Bob Browning officiating. A private family committal service will be held. Visitation will be at Harrod Brothers Funeral Home from 10:00 a.m. until 1:00 p.m. service time on Friday. In lieu of flowers, the family requests that everyone (pay it forward) with random acts of kindness, opening doors, serving food to those less fortunate, volunteering with favorite charities. Donations may be made to First Baptist Church at the Singing Bridge (fbcfrankfort.info), Bluegrass Greyhound Adoption (bluegrassgreyhoundadoption.com), or Bluegrass Care Navigators (bgcarenav.org). To send flowers or a remembrance gift to the family of Jo Ann (Billings) Jenkins, please visit our Tribute Store. "Email Address" would like to share the life celebration of Jo Ann (Billings) Jenkins. Click on the "link" to go to share a favorite memory or leave a condolence message for the family.